Classical Guitar Workshop Series in Wells, Somerset with James Rippingale – New for 2017! I am very excited to announce that I have created a brand new series of classical guitar workshops. These are designed to help guitarists overcome the problems faced when learning this beautiful instrument and to really enjoy the process of learning. 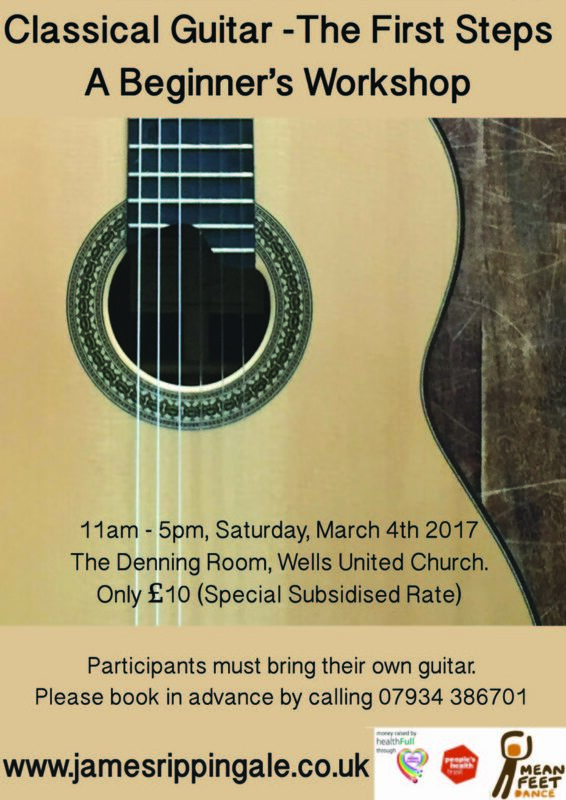 11am – 5pm, 4th March, The Denning Room, Wells United Church, Wells ,Somerset. 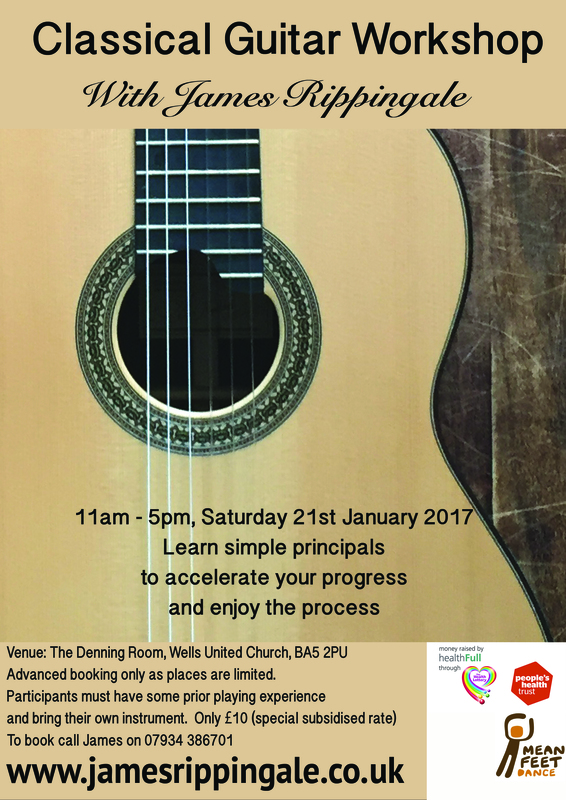 A workshop for anyone who would love to explore the classical guitar. Presented by classical guitarist James Rippingale we will explore the technique, traditions and rich musical heritage of this beautiful instrument. You will learn simple techniques to start your classical guitar journey in a fun creative environment. Please book in advance. Guitar hire is available. 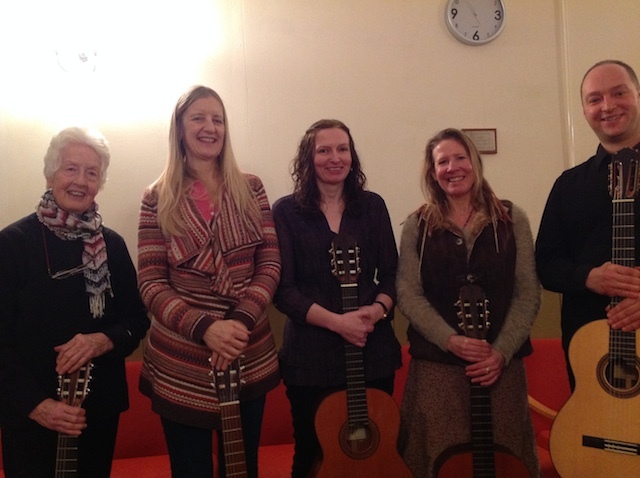 The first workshop went very well with participants traveling for near and far to enjoy a day of classical guitar. Here’s a picture with participants from the event. Big thanks to everyone involved and to my buddy Caroline for her support on the day.